The return of The X-Files to television screens after a 14-year absence was met with justifiable excitement and trepidation. It was an important show, combining Twilight Zone-style fantasy with humour, drama and emotion. 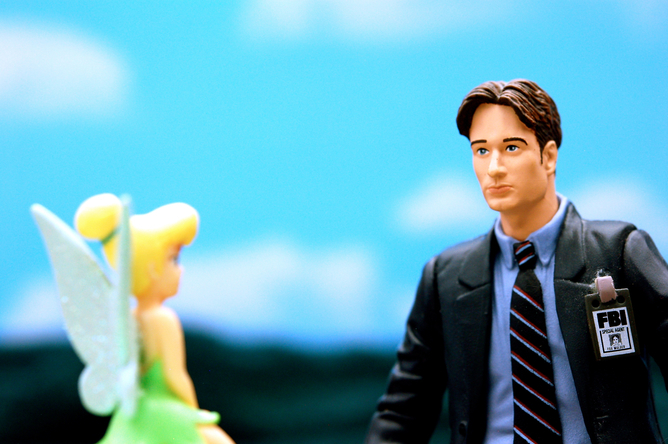 The X-Files took its subject matter seriously, and was taken seriously by viewers. Along with Buffy the Vampire Slayer, which aired at roughly the same time, it might well be seen as a precursor to titles like True Blood, Heroes, Game of Thrones or the relaunched Doctor Who. The X-Files was a template for shows that take traditionally wild or outlandish narrative themes and approach them with the kind of sincerity more usually found in “quality” television drama. The X-Files gave us the monster of the week, of course, and the overarching season-by-season story arc of alien invasion. But it was the relationship between agents Mulder and Scully, played by David Duchovny and Gillian Anderson, that undoubtedly formed the central thread of the show. Whether this relationship should remain platonic or develop romantically was a point of great contention among fans. Such engagement illustrates the show’s strong investment in human drama within its fantasy setting, and it’s no surprise that successful fantasy television titles that have since followed tend to focus on families and friendships as much as vampires, superheroes, dragons or monsters. 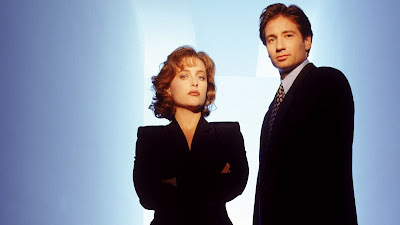 It’s equally unsurprising that Mulder and Scully should have become the main focus of publicity for the show’s relaunch, given the deep attachment viewers had been encouraged to forge with the characters over the years. The show’s strong fanbase guaranteed its status as “cult” television. Interestingly, it was already being called this at the time of its broadcast, rather than in a nostalgic or ironic way. The sense of belonging that the show engendered was potent during the 1990s; it was not uncommon to see “The Truth Is Out There” slogans mingling with Nirvana album covers or Tarantino movie posters on the t-shirts of teenagers. In this way, The X-Files coincided with a period in which television began to achieve a status nearing equivalence with film and music. Those t-shirts are an indication of how The X-Files was seen as a marketable property, and themed merchandise like mugs, toys, posters and books also started appearing in increasing bulk. It also then became part of a growing trend in box-set television. Entire seasons of The X-Files could be purchased on boxed VHS sets and displayed as a collection on owners’ bookshelves. It was a change from the 80s when a taste for VHS cases that had been designed to imitate book spines on shelves concealed the “guilty pleasure” of video watching from view. “The Truth Is Out There” t-shirt slogan refers, of course, to The X-Files’ consistent emphasis upon government conspiracy and the idea of a world hidden from us by unseen hands. As The X-Files returns, it’s obvious that these ideas haven’t gone away. But they have changed. In a television era that is post-9/11 and post-Iraq War we’re familiar with government and terrorist conspiracy shows like Homeland and 24. Against these titles, The X-Files’ paranoia about extra-terrestrial invasion might seem locked into a particular era, quaint even. The X-Files allegorised fears of otherness in the way that 50s sci-fi movies allegorised Cold War anxieties but, now that shows regularly visualise immediate real-world threats and anxieties on screen, it may need to find a way of adapting its themes to make them relevant once again. The X-Files re-enters a television world that it helped to define and shape, but the ground has inevitably shifted. Since The X-Files was first broadcast television has become far more ambitious, far more confident. After all, it was 12 years ago that Lost locked its audience into its bafflingly myriad, grand conspiracy stretching over six seasons. We live in an era in which seemingly nothing is allowed simply to end (or, at least, nothing that might yield a potential profit). Perhaps The X-Files faces the same challenge as another recent revival, Star Wars: offering fans enough that is familiar to remain faithful to the original, but providing enough that is different in order to remain relevant in a changed world. We’ll soon find out if it can match its earlier success. 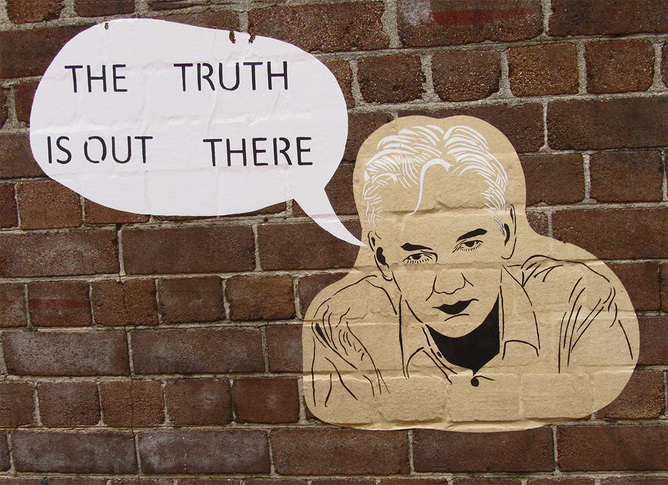 The truth will be out there for all to see.